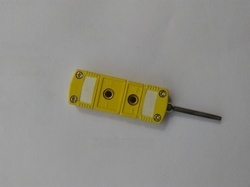 We Manufacture All types of MI Thermocouples which are available with Various Termination options. 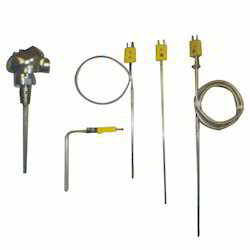 We are dedicatedly engaged in offering a commendable range of Multipoint Thermocouple. Besides being manufactured from high-grade raw material and latest technology, the offered range is inspected properly by our expert professionals. Owing to features like durability and sturdiness, the offered product is exceptionally valued by our precious clients. Apart from this, the offered range is available with us in various sizes and shapes at affordable price. Our in-depth knowledge and industrial expertise enable us to offer a distinguished range of Mineral Insulated Thermocouple. 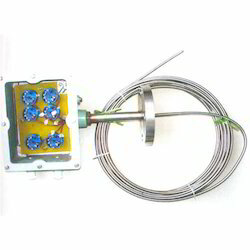 We manufacture this unique thermocouple by making use of high-grade raw material and high-end technology so as to maintain the set industry standards. To make a flawless dispatch from our end, our offered range is rigorously inspected by our quality checkers against various parameters. The offered product is broadly acknowledged by our clients for their light weight and durability. Mineral insulated (MI) thermocouple material, it respond fast because the protective metal outer sheath allows the use of smaller diameter thermocouple conductors. The protecting sheath and compacted insulation outperform Bare wire thermocouple in most applications. 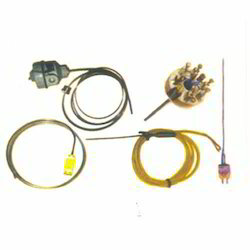 Being a well established organization, we bring forth an excellent assortment of Mineral Insulated Thermocouple. Our offered range is widely appreciated by our prestigious clients for their precise design and durability. The offered range can also be availed in various sizes, designs and other related specifications. Our provided range is manufactured by a team of our adept professionals utilizing quality approved stainless steel and advanced technology. Clients can avail the entire range from us at industrial leading rates.